Another brilliant image from Bobbi + Mike. I could have selected a ton of photos from this wedding day. I just love the reflection of the couple on the street. 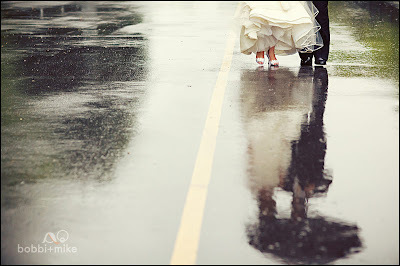 Take a look at the rest of the photos - all of the rain certainly didn't keep them from smiling + enjoying their day!